Place	"979 km White Dwarf Star"
Unless you're talking about the size of the dwarf itself, which is very small. That is indeed quite small, even for a white dwarf. That is quite small. Since the title of this thread is smallest star I suppose one could top that with a neutron star; can range around ~30km diameter. Of course a neutron star can top that. But, for a white dwarf, that's very hard to beat. Most white dwarfs range around the size of Earth. 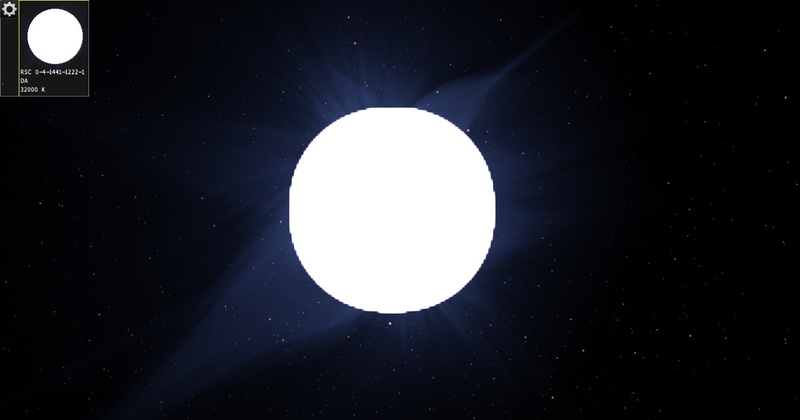 Perhaps this thread should be renamed "Smallest White Dwarf star"? What a white dwarf i heard that the white dwarfs have the size of our planet or more! I'd say a thread rename is a little overdue at this point. Perhaps this thread can be a repository for abnormally small stars in any category. The first one was the smallest white dwarf - maybe next someone will find an unusually small neutron star much less than 30km, or an unusually small red dwarf, or even an abnormally light black hole.